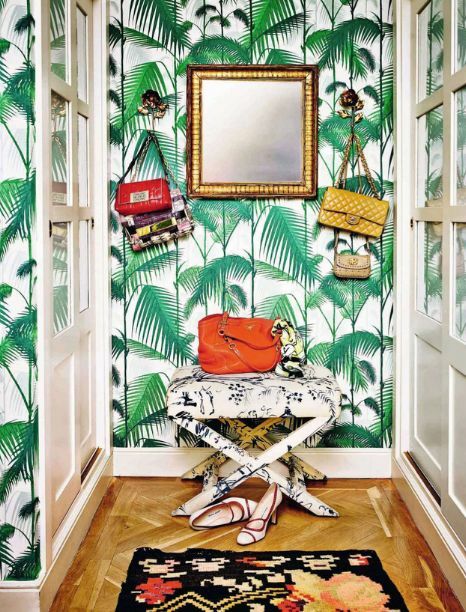 Such a great little nook - I love the Cole & Son Palm Jungle wallpaper, the black and white toile on the stool, and the handbags hung from hooks - both functional and darling. How divine! Loving the layers of prints.